Our sectional times webinar last week was our biggest ever and for good reason:There’s no-one else in the country who does the form like our guest Vince Accardi. He uses advanced streaming technology to get true sectional splits right throughout the race and this highlights horses to follow that many others overlook. You can also identify weak winners worth laying next start. (1) The official time posted by the clubs for almost every race is incorrect. Many of those errors are marginal, but when one length is the equivalent of .16 or .17 of a second they don’t have to be out by much to be misleading to those who trust them. One Sydney metro race the week prior was out by 7 lengths (1 second). (2) Trying to time the race off race replays is not accurate due to footage being compressed to a lower resolution by the TV production company. (3) Being fixated on closing sectionals (last 200/400/600 for example) is not the way to go. Far too little importance is placed on the early sectionals and pace through the first 2/3 of the race. Some horses that go far too fast early can be forgiven for puncturing late but are often dismissed by the market next start. If they can get a softer on-pace run next start they can perform well above the expectations of the general punting public. Serene Tanie was a good example of that. (4) Horses decelerate at the finish. The everyday punter assumes that the closing sectional is the fastest of the race but often that’s not the case. (5) A big effort that is impressive to the eye and in terms of times may leave a horse flat next start, especially if it comes early in the horse’s preparation. Don’t jump off these horses after one bad run because they can often bounce back at their 2nd start after a gut buster. (6) Trust your raw data instead of making too many bonuses for luck in running which is often over-emphasised. Include that when you are assessing a horse in its next race, but leave the raw data ‘true’. (7) Form analysts looking only at the overall time and last 600 are missing about 75% of the value you can get from this information. (8) When doing the form really place an emphasis on finding horses in races that will be run to suit. That factor is even more important than whether the horse is good enough to win the race. (9) Black Caviar’s first up performance suggests she has come back 2-3 lengths better than last preparation. A huge advantage for the mighty mare is her stride pattern. She takes one less stride per 100m than her competitors which gives her a great edge in every race she contests. She will have no problem with any distance up to a mile. (10) Frankel may be rated the world’s best horse but does not have the 3 sectional sustained split to match the mighty mare. All of the data Vince has suggests Black Caviar has 2-3 lengths on Frankel. (11) So You Think could be identified as a world-class horse after just one run as a 2yo because it was 10 lengths above the all-age average for that track and distance. (12) Somepin Anypin showed way above average ability very early on and is still somewhat under-rated. He has a high cruising speed and a great sprinting kick that will make him a force to be reckoned with this year in any 1400-1600m race that doesn’t have Black Caviar. (13) Helmet may have failed at the 2040 of the Cox Plate but if he was ridden to advantage (utilising a high cruising speed but not a breakneck pace) he will definitely get that distance next time. (14) Sepoy is a very good horse, but not as good as Helmet. (15) Soft Sand has the ability to run some amazing sectionals and is one of very horses that can match motors with Black Caviar, although only for its 400m kick. (16) Raceway’s only start produced times that were clearly superior to any other 2yo so far this season and were even better than So You Think’s debut. (17) Staying types need sprinting capability because that acceleration is what separates them from other stayers. And assessing sectional times in staying races are just as important as for sprints. Good milers and stayers need to be able to produce very good 1000m splits. (18) On pacers going up in distance can be a great betting proposition, especially if the horse went really hard last start and are now in a race with little pace. They can conserve so much energy in the first half of the race that they are impossible to get past. (19) Don’t give too much of an allowance for horses racing wide at certain tracks. A couple of examples are Moonee Valley and Doomben where there can be a real fast lane out wide. (20) Despite all of the time spent compiling and analysing these times, you may be surprised that Vince has just a handful of bets per week. It’s not just a matter of profiling the horse on what it has done so far, you also need to look very closely at the upcoming race and make sure it’s suitable. It’s very important to remain patient. 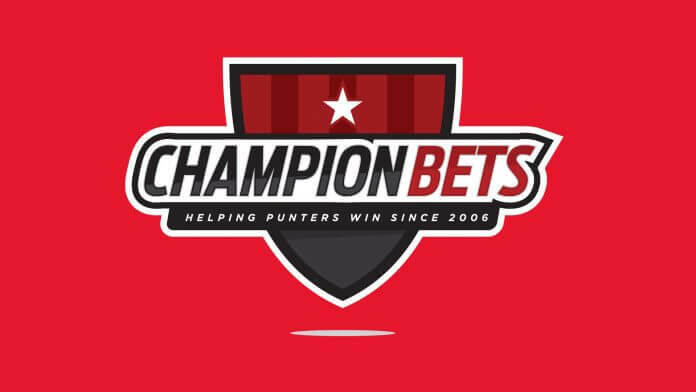 Finding an edge as a horse racing punter is a constant challenge in an ever-changing market. Having information (and knowing what to do with it) that is only available to a handful of people can provide that edge. We have incorporated Vince’s data and analysis into our own methods and are reaping the benefits.